Green Products We use Quality Eco-Friendly products protect the earth. 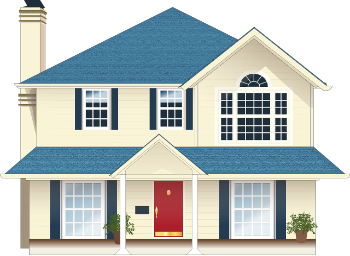 Residential We provide a shield of protection around your home. 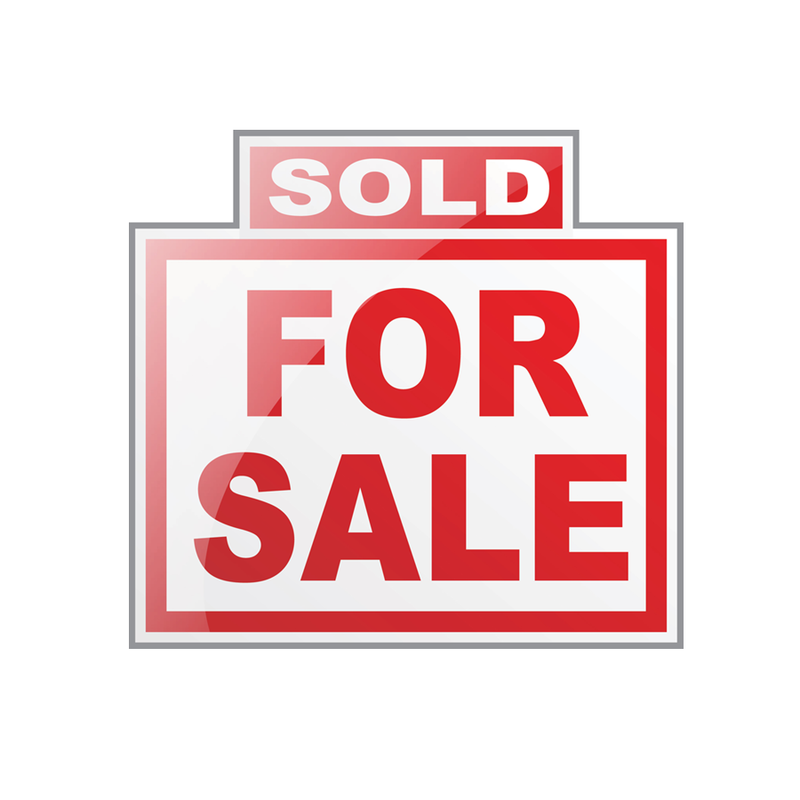 Real Estate Don't let pest infestations in empty homes stop your sales! Commercial Clean offices and restaurants keep your customers safe. Termite Service Termite protection and treatment for your home. Preventing termites before they can create severe damage to your new home is an essential way to maintain and keep its value. Even if there are still no signs of termites in your new home, it will help if you will have a protective barrier. New homes can get termites if not protected. It is always best to protect your new home from any termite infestation. It is also a bit easier and simpler to prevent termites from entering your home than getting rid of them. If you want to prevent termites in your new home, here are some of the things you should do as part of the early prevention of termites. Vacuum or sweep your floor on a regular basis. Foods and any other unnecessary residues must be removed quickly to make sure that termites are not feeding of the mess. Wash dishes completely after each meal. Wipe down your sink and keep it dry right after washing all the dishes and other utensils used. Repair slow moving drains. Termites will be immediately attracted to these areas as they have found out that these are dirty and perfect for them to live. Prevent yourself from storing untreated kind of timber like firewood in your new home. Hardwood timber garden border is also very conducive for termite infestation. Thus, they need to be immediately replaced with termite resistant type of materials like treated masonry or pine. Don not block sub floor venting. Venting only keeps the entire area dry and less attractive to termite infestation. If your new home is brick, you will actually notice some gaps between the bricks. These holes are weep holes. These allow the cavity ventilation and moisture to escape. Be sure that the weep holes in your brick are clear from any dirt, concretes and any other unnecessary obstructions and materials that will allow termites from entering your new home. Homes that are manufactured from concrete slab where exposed slab edges form some physical termite barriers could be a perfect area for termite infestation. This is the reason why you need to make sure that the slab edges will remain as part of your home’s inspection zone. Ensure that your vegetation that surrounds the perimeter of your building does not rest on the home. The purpose of which is to prevent termites from entering your new home. These are only some of the things you need to follow in relevance to new homes and termites’ early prevention. If you are unsure how to do some early prevention against pests, ask us- Absolute Pest Control. We will explain to you the things you need to do, specific to your situation. Now, you already have learned more about the things about new homes and termites. Check the likelihood of your home getting termites on this map. We provide a FREE evaluation of your new home and discuss prevention. Please call our office 615-220-1933 and schedule an appointment or click HERE for our internet form. New homes and termites can happen. Don’t let your biggest investment be at risk. Spring time is near which means warm weather, plenty of spring showers and common Spring pests that bother Middle Tennessee residents. As the weather improves, we aren’t the only ones looking to take advantage of the beautiful weather. Pests start to migrate out of their winter hiding and find places to feed and reproduce. While there are a variety of pests that make their way into your home, a few will be more prevalent in the Tennessee area. Ants live in colonies in and out of the home. The bottom of the colonial hierarchy, the worker ants, are sent from the colony to find food for the queen and the males. They prefer to eat mainly sweets and oils. It’s no surprise they are in the kitchen. Spiders infiltrate your home looking for a warm place to live and eat. Most spiders will spin many webs inside your home looking for the best place to catch its prey. Furthermore, females will lay eggs in sacs of silk for support and protection. The female spider can produce up to 4,000 eggs in her lifetime. Termites thrive on dead trees and leaves. Unfortunately, they don’t stop there. Termites often feast on drywall, paper, and plastic. These pests live in colonies and can wreck serious havoc on your home. Mice are little explorers that have turned your home into their personal palace. Preferring dark spaces, they will explore your home in search of food. Female mice will often give birth to mouse pups several times a year when they’ve found a suitable environment. Female mice can mother an average of 48 mouse pups a year. Cluster flies, otherwise known as attic flies, tend to live in groups in dark spaces such as walls, attics, or unused rooms during cold times. Preferring to be outside, they will often be semi-dormant when they are inside. Quiet flies make it hard to track them down when they are in your home. What are some of the most common entry points for pests? Spring pests come inside your home for either food or warmth. With it being a life or death situation, they will find any way possible to get in. Once they’re in, it’s tough to get them out. Most pests reproduce at alarming rates and are excellent at hiding. While many poisons and traps you buy at the store can be sufficient, they rarely rid the entire problem. Absolute Pest Control has been ridding homes of Spring pests for 15 years. Their technicians continually train on the most recent technology and treatments to ensure the cause of the infestation gets fixed, not just the symptom. Call 615-220-1933 today for a FREE Termite Inspection. Absolute Pest Control will find the cause of your pest problem and recommend the best treatment. For extra protection, you can opt for a $50 annual contract for service. Click HERE for more details. Termites are often referred to as the “silent killer” because they can stay in your house for considerable amounts of time, doing damage that you don’t even know is there yet. You can avoid damage by having an annual termite inspection. Termites are determined, rigorous insects that if left alone can do considerable damage to your home. There is perhaps no other insect that is often associated with property damage as the tiny termite. Some termite mounds house efficient communities, or colonies, numbering up to five million residents! They are rather social insects that prefer to live in large colonies with 3 distinct soldiers division, workers, labors and reproductive. The workers are blind and creamy in color. The soldiers look similar but have a large jaw and an elongated head. It doesn’t matter what type of home you have, termites can always find something that will be there food source. In the middle Tennessee area we deal with the eastern subterranean termite, the most commonly found termite specie in North America. We tend to think of termites as feeding only on wood. Termites actually will feed on anything that contains cellulose, the main property of wood, including but not limited to wood paneling, cardboard, cotton, paper products, canvas material, carpet, leaves, soil, etc. Because these items are around most properties and homes, preventing a termite infestation is very challenging. We don’t recommend the “do it yourself” approach for chemical control of termites for a few reasons. Many chemicals just affect the surface area of the infestation and simply spraying swarmers on the surface will not protect the interior areas of your home nor does it prevent future termite attacks. It is critical for homeowners to get an annual termite inspection especially those who live in the middle Tennessee areas. It doesn’t matter the age of your home. Termite infestation can be extremely difficult to catch without a full inspection, so it is very wise to have your home inspected for termites every year. This ensures that termite trouble can be discovered before the devastation gets out of hand. Remember that Termites feed on wood cellulose so there presence can go undetected for long time. From the outside, the wood infested by termites can seem structurally sound but on the inside it has a honeycombed look. 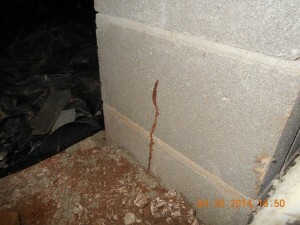 Subterranean termites are serious pests, whose control is best left to professionals. Removing all termites from your home requires expert skills. 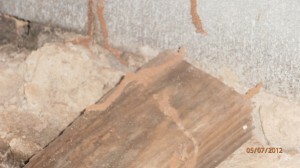 Knowledge of construction is also needed to find areas where termites are likely to enter. Most of these entry points are very hard to access and usually hidden. Controlling termite also uses special equipment like large-capacity tanks, soil treatment rods and pumps. Typically termite treatments may involve large volumes of liquid pesticide injected in the ground beside your foundation, under concrete slabs and within your foundation walls. Middle Tennessee’s reputation as a friendly and viable economic center continues to soar as the areas quality of life and creative spirit attracts new people and jobs every day. It has featured in the top 10 places to start a business, and the cities of Middle Tennessee have featured in top 25 which offer jobs. In fact Nashville has outperformed New York in many aspects. That growth brings more prosperity to the middle Tennessee state. In United States alone Termites cause over $5 billion in property damage every year for the home owners. Let’s see what makes these invaders so formidable and how to stop them. Subterranean termites are social creatures living in a highly organized caste system in the underground colony. Every termite has a given role and they depend upon one another for survival. The queen can lay thousands of eggs in her life time. The specific termites live to reproduce with the queen. The soldier’s job is to protect the colony from the invaders like ants. Swarmer’s are the termites with the wings. When ready they emerge from the colonies to begin more colonies. 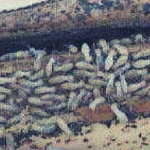 A colony can house thousands to millions of termites and it is common to find two or more colonies competing with one another for food around a property. Termites can travel the length of football to find food. Just like a tree which expands its branches towards sunlight, termites add additional tunnels to the main tunnel to maximize the chance of finding food. So naturally they find and began feeding on the bait stations. They can’t help it, as it is in their DNA. Their biology is why the system, the science, works. Research tells that they prefer the unique bait over wood. Once adjusted, the patented active ingredient, known as flumeron, prevents the workers from multing. When they cannot mult they die. Dead termites can be their colony, so their colony dies. Since the termites can’t detect the flumeron, they continue feeding on the bait until all the termites are dead and the whole colony is gone. We treat your home before and after a problem has been found. Bait is just one treatment method that can be used to save and protect your home. If you suspect you have a termite issue or would like to start a preventative plan click below to start the free inspection process. Congratulations on your new home! The decisions you made to get here probably have been filled with ups and down… Searching for the perfect home, wrangling the financing, then packing up your old home, moving your belongings and finally, unpacking. But, what if you unpack and all of a sudden find termites. Who did that happen? What could you have done to help prevent this from happening? Here are some things you can do to protect yourselves. Most lenders require a pest inspection in order to fund the loan. But that doesn’t mean that the company who performs the inspection is reputable and will do what’s in your (the homebuyer) best interest. One thing you can do is request a specific company to do the termite and pest inspection. However, that does not mean that you will get the company you want. Scheduling, personalties, personal relationships, etc can make a difference in who does the termite and pest inspection. Another thing that you can do is look for signs of termites. You are not a qualified pest inspector and you may not want to go under the house looking at a craw space. But there are some other places you can look. A termite tunnel is a tube made from natural products, usually mud, that termites use for travel from their colony to get food. The termite tubes are generally the diameter of a pencil. If you find termite tubes, it doesn’t mean that the home currently is infested with termites. What it means is that the home has been a feeding ground for termites at some point. Look for tubes around the base of the home. Wood damage can come in several ways. Visible channels or holes along the grain of fences, sheds, window sills, window boxes, etc. it is likely that termites have eaten through the wood. As a subterranean insect, the termites likely ate their way from the soil out through the wood. Another thing that would be present would be the dirt from inside. The absence of termite tubes or holes in wood doesn’t mean your home is termite free. Some damage cannot be seen from the outside. It involves going under the home, tapping on base boards and other industry specific testing to see if there is damage to the integrity of the wood by unwanted termites. Our skilled technicians are the perfect answer to your home buying needs. If you would like to schedule a Termite Inspection, please call us at 615-220-1922 to schedule an appointment or click here. What do Termites, Ants, Wood Chips and Mulch all have in common? Pest Control issues if they are used around the perimeter of your home! 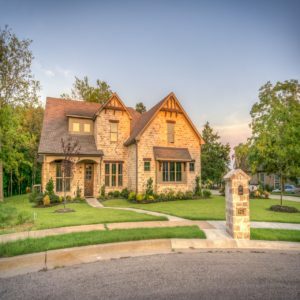 Here are some common questions we answer frequently about landscaping materials and pests that can damage your home. Q. 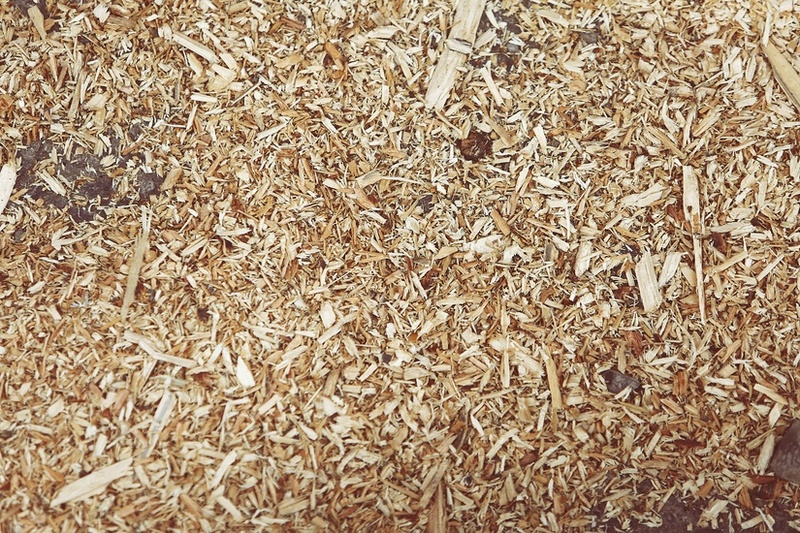 Does the use of Wood Chips and Mulch attract termites and ants to your home? A. No, that is a commonly heard myth. Q. Are Pine Needles a good replacement to Mulch? A. Unfortunately, no. That is just another form of wood-type covering. Q. Why are wood products bad for landscaping? A. It isn’t wood per se that is the problem. It is the moisture that is under the Wood Chips or Mulch that can really bring on a problem. So you can use wood mulch around mailboxes or other landscaping that is far away from your home. Q. So if Wood Chips and Mulch do not attract termites and ants, why do people tell me that? A. Subterranean termite colonies feed off of the decaying wood in mulch and other wood landscaping products that homeowners use to help flowers and bushes survive in heat. The termite colonies send out workers to locate food and water sources. While the colony eats the current find another group is out foraging for the newest food source. If you think about mulch filled plant beds placed around your home, you may be setting your home up for multiple termite colonies. It is not a far road for termites to leave the mulch and start in on the wood in your home. Ants are also attracted to some mulches. 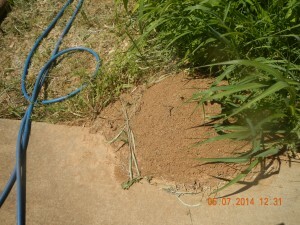 It comes down to not attracting ants to your home and not providing a food source for termites. No one wants termites and you can get them even without using wood chips or mulch. However by avoiding triggers like using mulch and wood chips in your landscaping around your home, can reduce the chances of having a termite problem in your home. We also offer a pretreatment plan that can help keep your home termite free. If you are interested contact our office HERE or call us today: 615-220-1933. Other information can be read HERE. What Likely Summer Pests Will We Have? 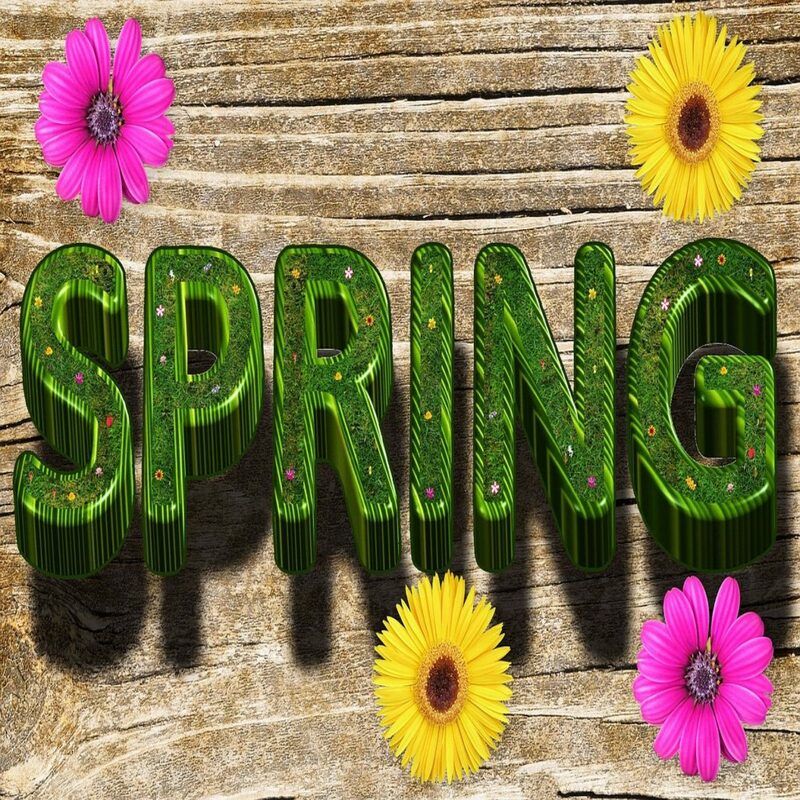 After a freezing cold and long Winter, we are enjoying some weeks of Spring rain and even a couple days of 80 degree weather! 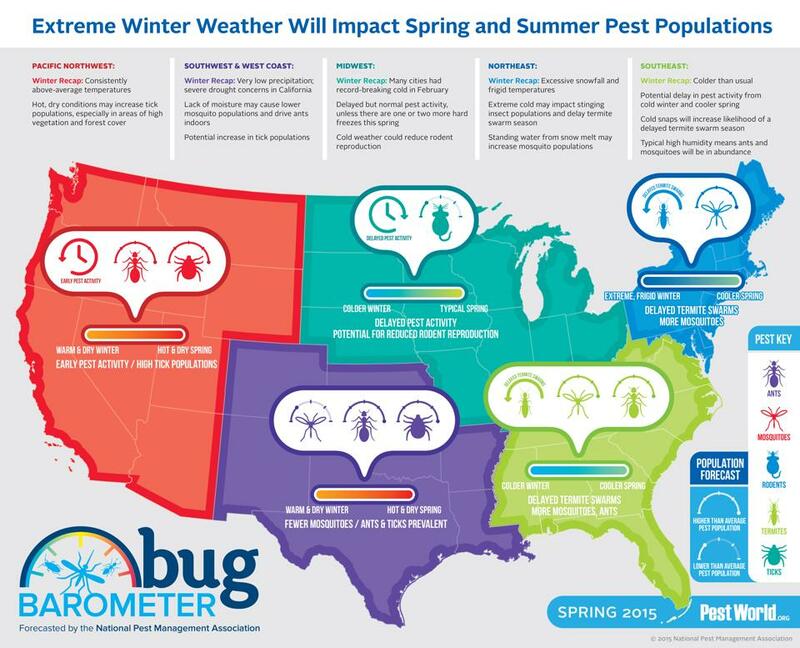 As we enjoy this wonderful change in the weather, us pest control specialists have been calculating the possibility of the delay in the normal cycle for pests in our area. When will the Summer Pests arrive? The National Pest Management Association has released it’s annual Bug-O-Meter. You can read the full report here. The Southeast can expect a delayed outing of our regional pests, like termites, mosquitoes, ants and beetles. So what does that mean for us in the Nashville area? When will the summer bugs arrive. As the temperature evens out (a little) the dormant bugs will start making their presence known. The termite swarms will likely be later in the season. Problematic ants may have been bothering you indoors but expect them to come out in droves in the next month. The story is the same (just like every year) about not leaving standing water out for mosquito breeding grounds. Just don’t do it! Here is a previous article about stopping June Bugs from laying eggs in your yard and some steps to get rid of them if you do have them bothering you. If you are experiencing any pest issues, please allow our trained pest control technicians to give you a FREE Estimate for service. We have some money saving coupons on our site too. Click here to save money! Call our office at 615-220-1933 or contact us via email for a fast response here! You have clicked on an article titled “When You Need a Termite Inspection.” Uh oh. There is some suspicion in your home, right? The first reason to have a termite inspection is because it’s always better to be safe than sorry. But just for giggles, let’s keep talking about it. Termites will put any wood into their victim list of feasting. (You know how much wood is in your brick home, right?) So stay one step ahead of them. Don’t wait until it’s too late. Google images of termite infestation if you need any more convincing to take this very seriously. First off, you should get a termite inspection at least once a year. Inspections are complex and you can be there for the whole thing. Our certified inspectors will check every crack and crevice of your home. They will usually want to show you any areas of concern so that you can be well informed about the state of your home and be able to make smart decisions regarding a plan of action. These inspections are so important, we offer a FREE Annual Termite Inspection. What are some signs you need an inspection? The first time that it’s important to get a termite inspection is when you are buying or selling a home. Imagine buying a $100,000+ infestation, only because you didn’t do your due diligence? If you are selling a home and you do not provide a termite inspection, you can be held liable for claims laid on your later, even if the termites showed up after you closed the deal. If your neighbor has a termite problem, it is time to call the pest professionals at Absolute Pest Control! Termites can travel, just like you. Especially if your neighbors’ homes are within a few hundred feet, you are looking at a great formula for personal infestation. Keep in mind that termites eat twenty-four hours a day, seven days a week. They don’t only eat wood, but they also cause major structural damage to your home. In between pest professional (or exterminator) visits, do your own visual inspection. Search the damp areas of your home, especially around wood. If you have a crawl space, grab a flashlight and get moving! You may see termites clustered together, especially around rainfall. Termites create mud tunnels if they can’t eat something. If means if they run into a brick, they move along in the mud, until they find more wood. These tunnels are about the width of your pinky nail. Also, look for darkening or blistering wood. If you are really serious, poke your wood with a screwdriver. Check and see if it caves under the poke. Routine termite inspections are paramount in keeping your home safe from termites. Do you think you are okay/ Then don’t worry about it. Play the odds. But if you think your home might be as vulnerable as all the others, then call a pest professional like us and have your home checked out. If you find a swarm (cluster of little white-ish worms anywhere in your home) it’s time to call an exterminator immediately. The subterranean termite may infest your home for up to three years before a swarm appears. A final sign of termites is “coffee grounds” on your floors. When termites eat through wood or mud to find more wood, they excrete what they eat. The excretion looks like coffee grounds. However this stuff is no where near your Starbucks bag. And don’t kid yourself, coffee grounds on your nightstand is not careless caffeine consumption. Again, you should have a termite inspection once a year at minimum! However, if you see any symptoms around your home like stated above, call Absolute Pest Control at 615-220-1933 right away. Here are the 3 things you can do to reduce the chance of having a Termite Infestation! It is often said around the South, it isn’t if you will have Termites but when… We understand that termites happen. But, maybe these 3 things will help reduce the chance of you having them happen to your home. Mulch looks great, if you must use it but keep it low; at least 3-5 inches below siding and windows is good rule of thumb. Remove dead trees, shrubs and branches near your home’s foundation. 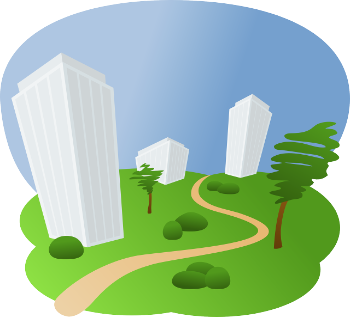 Keep all live trees and bushes from touching your home. This reduces a free super highway to the inside. The humidity in the air is not something we can control. Excess moisture from a/c units, pools and drainage tubes are all manageable. Promptly repair and/or replace leaky air conditioning tubes. Water is the lifeline for all living creatures and termites are no exception. A leaking a/c tube will provide the water need for termites to thrive and usually a/c units are right next to your home. Your rain drains should have tubes or tracks to divert water away from your home. Any standing water should be monitored, drained or otherwise handled to keep termites and mosquitos away. Absolute Pest Control offers FREE annual Termite Inspections. There is no cost or obligation for us to come and inspect your home. The benefit is immeasurable if we catch a problem early. We perform thousands of Termite Inspections annually. We do not skim on our free inspections. Our trained technicians will clearly report any problematic spots they find. These are for home owners and connote be used in conjunction with a home sale or purchase. At Absolute Pest Control we want to offer you the best in pest control services. Our highly skilled and trained technicians provide excellent customer service while keeping your home pest free. We ask the right questions to make sure we provide the best service in the industry. You have our word! And, our money back guarantee! Termites and Their Damage Have Been Around For A Long Time! Termites have been here long before us. The natural job of termites is to clear out fallen and rotting lumber. It seems fitting that if our homes are made from dead wood, termites will come and do the job they were destined to do: eat the wood. However, this is not what we want. Termites divide the colony into castes. The social organization of termites is: reproductives, workers and soldiers. The reproductives include the Queen who can lay 20,000 to 30,000 eggs per day. Interestingly, the king and queen of a colony mate for life. 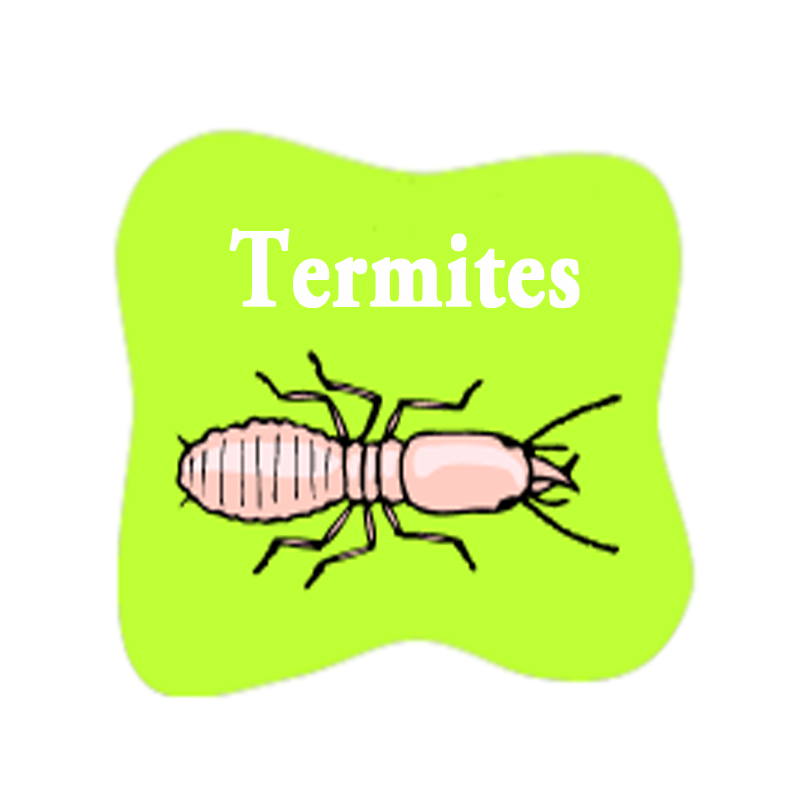 The worker termites carry out the duties of the colony. Their jobs are based on an what is good for all; gathering food, nest maintenance and other duties depending on the species. The soldier termite protects the colony or nest from attackers. The most common type of defense needed is from ants. A termites diet is based on cellulose. The cellulose comes from wood and plant fibers. The workers are responsible for building the nest. It is an intricate space with nurseries, living space, the ability to conserve water and protection from the elements. The overall strength of termites is not high. They have little strength and need water to survive. Being out in the open is dangerous for termites. They will create shelter tubes like underground super highways. Often these pests will have the shelter tubes to find new food sources when the local food source is not as plentiful. Where Do Bed Bugs Come From? Do You Suffer From Musophobia? Our purpose is to serve people, not to sell service. Our success is completely dependent on how well we serve our customers. We are accountable to do the right thing. Service areas include Nashville, Smyrna, Murfreesboro, all of Middle Tennessee, and more!